The box of prescription drugs had been forgotten in a back closet of a retail pharmacy for so long that some of the pills predated the 1969 moon landing. 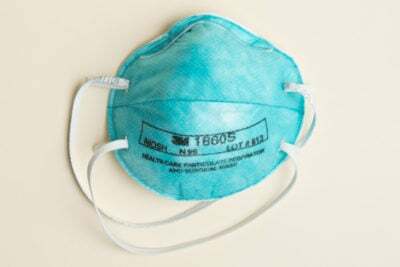 Most were 30 to 40 years past their expiration dates — possibly toxic, probably worthless. The age of the drugs might have been bizarre, but the question the researchers wanted to answer wasn’t. Pharmacies across the country — in major medical centers and in neighborhood strip malls — routinely toss out tons of scarce and potentially valuable prescription drugs when they hit their expiration dates. ProPublica has been researching why the U.S. health care system is the most expensive in the world. One answer, broadly, is waste — some of it buried in practices that the medical establishment and the rest of us take for granted. We’ve documented how hospitals often discard pricey new supplies, how nursing homes trash valuable medications after patients pass away or move out, and how drug companies create expensive combinations of cheap drugs. Experts estimate such squandering eats up about $765 billion a year — as much as a quarter of all the country’s health care spending. What if the system is destroying drugs that are technically “expired” but could still be safely used? 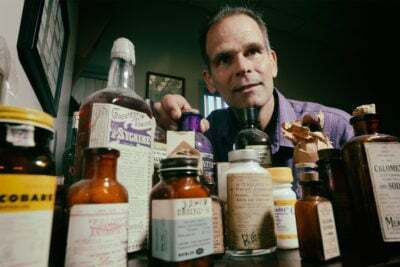 In his lab, Gerona ran tests on the decades-old drugs, including some now defunct brands such as the diet pills Obocell (once pitched to doctors with a portly figurine called “Mr. Obocell”) and Bamadex. Overall, the bottles contained 14 different compounds, including antihistamines, pain relievers and stimulants. All the drugs tested were in their original sealed containers. The findings surprised both researchers: A dozen of the 14 compounds were still as potent as they were when they were manufactured, some at almost 100 percent of their labeled concentrations. After Cantrell and Gerona published their findings in Archives of Internal Medicine in 2012, some readers accused them of being irresponsible and advising patients that it was OK to take expired drugs. Cantrell says they weren’t recommending the use of expired medication, just reviewing the arbitrary way the dates are set. “Refining our prescription drug dating process could save billions,” he says. But after a brief burst of attention, the response to their study faded. That raises an even bigger question: If some drugs remain effective well beyond the date on their labels, why hasn’t there been a push to extend their expiration dates? It turns out that the FDA, the agency that helps set the dates, has long known the shelf life of some drugs can be extended, sometimes by years. 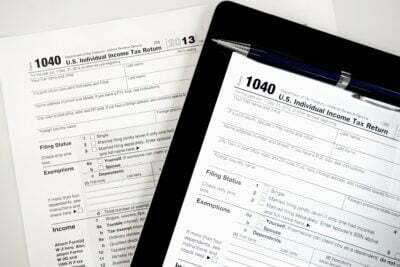 In fact, the federal government has saved a fortune by doing this. For decades, the federal government has stockpiled massive stashes of medication, antidotes and vaccines in secure locations throughout the country. The drugs are worth tens of billions of dollars and would provide a first line of defense in case of a large-scale emergency. Maintaining these stockpiles is expensive. The drugs have to be kept secure and at the proper humidity and temperature so they don’t degrade. Luckily, the country has rarely needed to tap into many of the drugs, but this means they often reach their expiration dates. Though the government requires pharmacies to throw away expired drugs, it doesn’t always follow these instructions itself. Instead, for more than 30 years, it has pulled some medicines and tested their quality. The idea that drugs expire on specified dates goes back at least a half-century, when the FDA began requiring manufacturers to add this information to the label. The time limits allow the agency to ensure medications work safely and effectively for patients. To determine a new drug’s shelf life, its maker zaps it with intense heat and soaks it with moisture to see how it degrades under stress. It also checks how it breaks down over time. The drug company then proposes an expiration date to the FDA, which reviews the data to ensure it supports the date and approves it. Despite the difference in drugs’ makeup, most “expire” after two or three years. Once a drug is launched, the makers run tests to ensure it continues to be effective up to its labeled expiration date. Since they are not required to check beyond it, most don’t, largely because regulations make it expensive and time-consuming for manufacturers to extend expiration dates, says Yan Wu, an analytical chemist who is part of a focus group at the American Association of Pharmaceutical Scientists that looks at the long-term stability of drugs. Most companies, she says, would rather sell new drugs and develop additional products. Pharmacists and researchers say there is no economic “win” for drug companies to investigate further. They ring up more sales when medications are tossed as “expired” by hospitals, retail pharmacies and consumers despite retaining their safety and effectiveness. 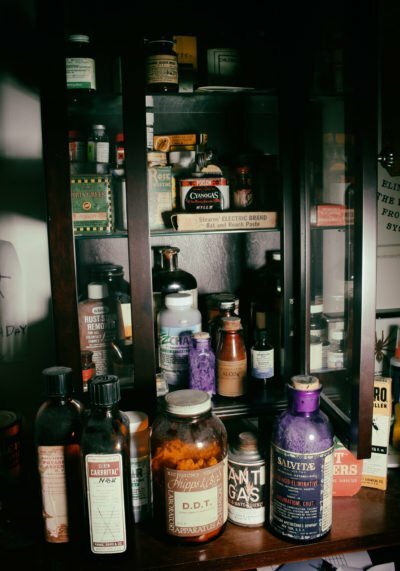 That being said, it’s an open secret among medical professionals that many drugs maintain their ability to combat ailments well after their labels say they don’t. One pharmacist says he sometimes takes home expired over-the-counter medicine from his pharmacy so he and his family can use it. The federal agencies that stockpile drugs — including the military, the Centers for Disease Control and Prevention and the Department of Veterans Affairs — have long realized the savings in revisiting expiration dates. Some that failed to hold their potency include the common asthma inhalant albuterol, the topical rash spray diphenhydramine, and a local anesthetic made from lidocaine and epinephrine, the study said. But neither Cantrell nor Dr. Cathleen Clancy, associate medical director of National Capital Poison Center, a nonprofit organization affiliated with the George Washington University Medical Center, had heard of anyone being harmed by any expired drugs. Cantrell says there has been no recorded instance of such harm in medical literature. Marc Young, a pharmacist who helped run the extension program from 2006 to 2009, says it has had a “ridiculous” return on investment. Each year the federal government saved $600 million to $800 million because it did not have to replace expired medication, he says. Hussain is now president of the National Institute for Pharmaceutical Technology and Education, an organization of 17 universities that’s working to reduce the cost of pharmaceutical development. 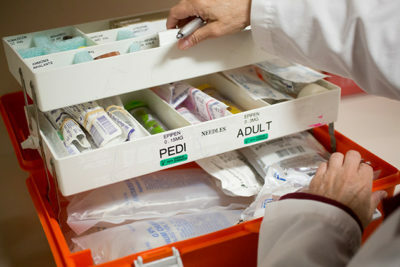 He says the high price of drugs and shortages make it time to reexamine drug expiration dates in the commercial market. “It’s a shame to throw away good drugs,” Hussain says. Citing the federal government’s extension program, the AMA sent letters to the FDA, the U.S. Pharmacopeial Convention, which sets standards for drugs, and PhRMA asking for a re-examination of expiration dates. No one remembers the details — just that the effort fell flat. At Newton-Wellesley Hospital, outside Boston, pharmacist David Berkowitz yearns for something to change. Federal and state laws prohibit pharmacists from dispensing expired drugs and The Joint Commission, which accredits thousands of health care organizations, requires facilities to remove expired medication from their supply. So at Newton-Wellesley, outdated drugs are shunted to shelves in the back of the pharmacy and marked with a sign that says: “Do Not Dispense.” The piles grow for weeks until they are hauled away by a third-party company that has them destroyed. And then the bins fill again. “I question the expiration dates on most of these drugs,” Berkowitz says. 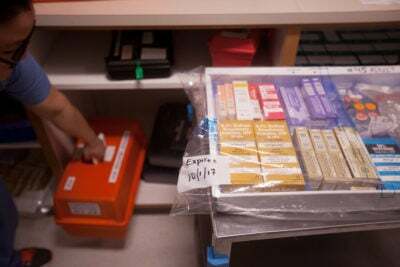 One of the plastic boxes is piled with EpiPens — devices that automatically inject epinephrine to treat severe allergic reactions. They run almost $300 each. These are from emergency kits that are rarely used, which means they often expire. Berkowitz counts them, tossing each one with a clatter into a separate container, “… that’s 45, 46, 47 …” He finishes at 50. That’s almost $15,000 in wasted EpiPens alone. In May, Cantrell and Gerona published a study that examined 40 EpiPens and EpiPen Jrs., a smaller version, that had been expired for between one and 50 months. The devices had been donated by consumers, which meant they could have been stored in conditions that would cause them to break down, like a car’s glove box or a steamy bathroom. The EpiPens also contain liquid medicine, which tends to be less stable than solid medications. Testing showed 24 of the 40 expired devices contained at least 90 percent of their stated amount of epinephrine, enough to be considered as potent as when they were made. All of them contained at least 80 percent of their labeled concentration of medication. The takeaway? Even EpiPens stored in less than ideal conditions may last longer than their labels say they do, and if there’s no other option, an expired EpiPen may be better than nothing, Cantrell says. At Newton-Wellesley, Berkowitz keeps a spreadsheet of every outdated drug he throws away. The pharmacy sends what it can back for credit, but it doesn’t come close to replacing what the hospital paid. Then there’s the added angst of tossing drugs that are in short supply. Berkowitz picks up a box of sodium bicarbonate, which is crucial for heart surgery and to treat certain overdoses. It’s being rationed because there’s so little available. He holds up a purple box of atropine, which gives patients a boost when they have low heart rates. It’s also in short supply. 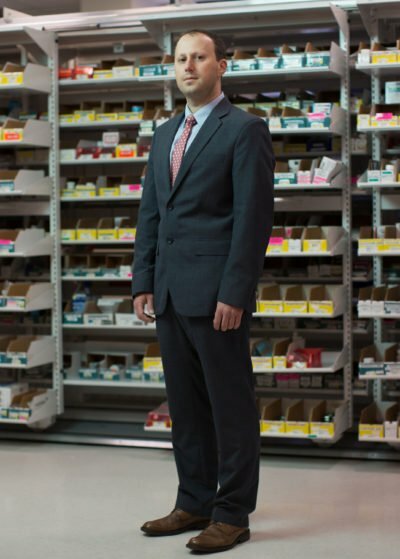 In the federal government’s stockpile, the expiration dates of both drugs have been extended, but they have to be thrown away by Berkowitz and other hospital pharmacists. The 2006 FDA study of the extension program also said it pushed back the expiration date on lots of mannitol, a diuretic, for an average of five years. Berkowitz has to toss his out. Expired naloxone? The drug reverses narcotic overdoses in an emergency and is currently in wide use in the opioid epidemic. The FDA extended its use-by date for the stockpiled drugs, but Berkowitz has to trash it. On rare occasions, a pharmaceutical company will extend the expiration dates of its own products because of shortages. That’s what happened in June, when the FDA posted extended expiration dates from Pfizer for batches of its injectable atropine, dextrose, epinephrine and sodium bicarbonate. 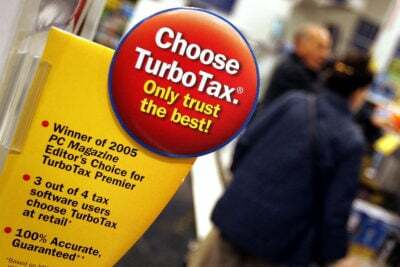 The agency notice included the lot numbers of the batches being extended and added six months to a year to their expiration dates. The news sent Berkowitz running to his expired drugs to see if any could be put back into his supply. His team rescued four boxes of the syringes from destruction, including 75 atropine, 15 dextrose, 164 epinephrine and 22 sodium bicarbonate. Total value: $7,500. In a blink, “expired” drugs that were in the trash heap were put back into the pharmacy supply. Berkowitz says he appreciated Pfizer’s action, but feels it should be standard to make sure drugs that are still effective aren’t thrown away. Four scientists who worked on the FDA extension program told ProPublica something like that could work for drugs stored in hospital pharmacies, where conditions are carefully controlled. Greg Burel, director of the CDC’s stockpile, says he worries that if drugmakers were forced to extend their expiration dates it could backfire, making it unprofitable to produce certain drugs and thereby reducing access or increasing prices. The 2015 commentary in Mayo Clinic Proceedings, called “Extending Shelf Life Just Makes Sense,” also suggested that drugmakers could be required to set a preliminary expiration date and then update it after long-term testing. An independent organization could also do testing similar to that done by the FDA extension program, or data from the extension program could be applied to properly stored medications. ProPublica asked the FDA whether it could expand its extension program, or something like it, to hospital pharmacies, where drugs are stored in stable conditions similar to the national stockpile. “The Agency does not have a position on the concept you have proposed,” an official wrote back in an email.